We offer a wide range of Data Logger that covers extensively to meet the diverse requirements for various industrial applications. The Loggers are available in DIN Standard size and are ideally designed for logging physical parameters such as temperature, pressure, and flow. Data Loggers can be connected to a standard printer straight away to create reports directly also without using of PC. The logger can be used online and offline and compatible with WIN 98 graphics data logging software and also attuned with Eclipse Windows SCADA software. In all the new product fault recorder is available for logging of a machine on/off timings. 80 Column / 24 Column Printer Report selection. Print interval programmable in hours and minutes. 32 k RAM with internal rechargeable NiCd battery back up. 8 / 16/ 24 Analog Channels for thermocouple/RTD Pt100/4-20 mA/0-10 V inputs. (Factory Set). 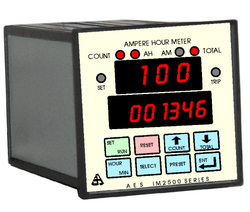 This model is an advancement over the IM 2505 Ampere-Hour Meter. 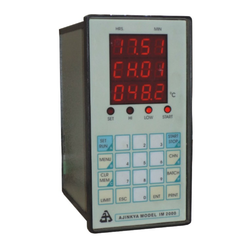 it is provided with an additional totalizer which monitors the total charge and total discharge through the circuit. It also keeps a track of the total number of cycles of charge and discharges in a circuit. The very battery that is used in different applications has a definitive life cycle based upon the total number of charge and discharge cycles. So, this model enables our clients to keep a track of the life cycle of the battery. 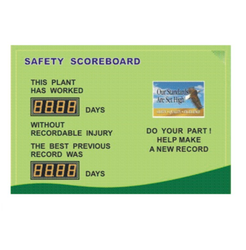 Apart from score-boards for sports, Ajinkya has Safety Scoreboard Displays for factory applications. as per quality norms, every shop floor has to display safety data such as the number of days without accidents, maximum safety score etc. ajinkya offers electronic scoreboard for such applications. 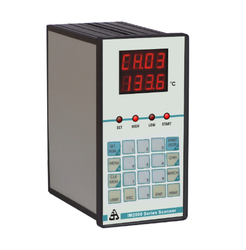 RTD Data Logger is the most commonly used sensors for measuring temperatures in various industries. these are positive temperature coefficient resistive sensors and PT 100 is the most commonly used type of rtd sensor which has100-ohm m resistance at 0 c. im2000 series rtd data loggers offer bridge measurement technique to compensate for effect of wire length. in addition logger has facility to program offset so that the measurements are more accurate. Looking for Control And Automation Products ?